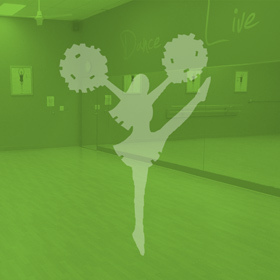 Mid American Studio provides high quality dance and pom instruction in a fun and family friendly environment. With talented instructors, state of the art facilities and a wide range of classes and other services, Mid American Studio is the perfect place to discover or pursue your passion for dance and pom. Pom Prep class begins on February 27th! Details here. or Reigster online! Visit the Downloads page for copies of all handouts.